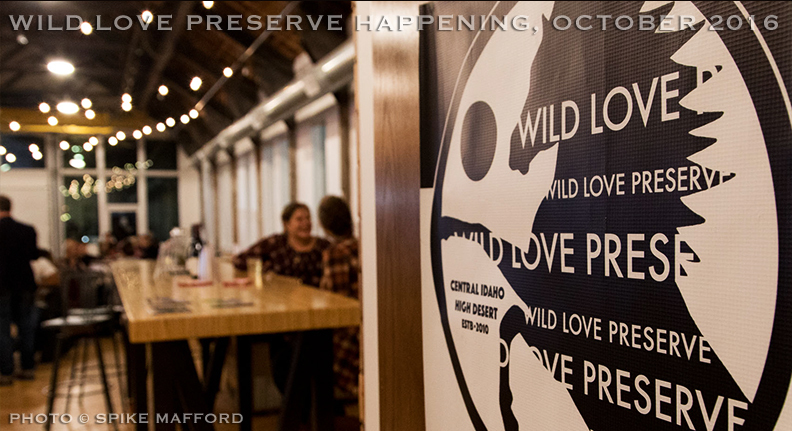 Big Love, Big Thanks to everyone who volunteered, helped, donated, attended and supported Wild Love Preserve's Special Night in Wildness on October 19 in Seattle. It was a fantastic night and you are deeply appreciated. Scroll down to enjoy photos and performance videos from our evening together on behalf of lasting wildness and freedom. Icons. Music. Art. Love. 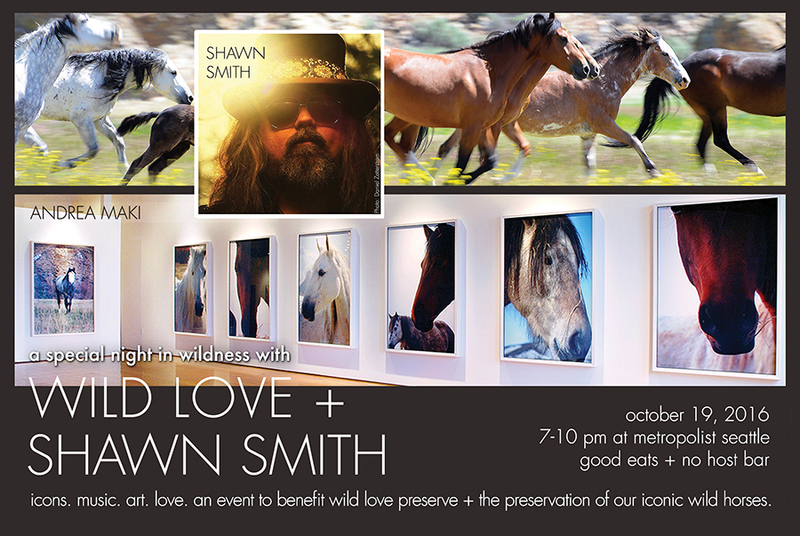 Join us for a special evening in wildness with Wild Love and Shawn Smith, good eats and drink. 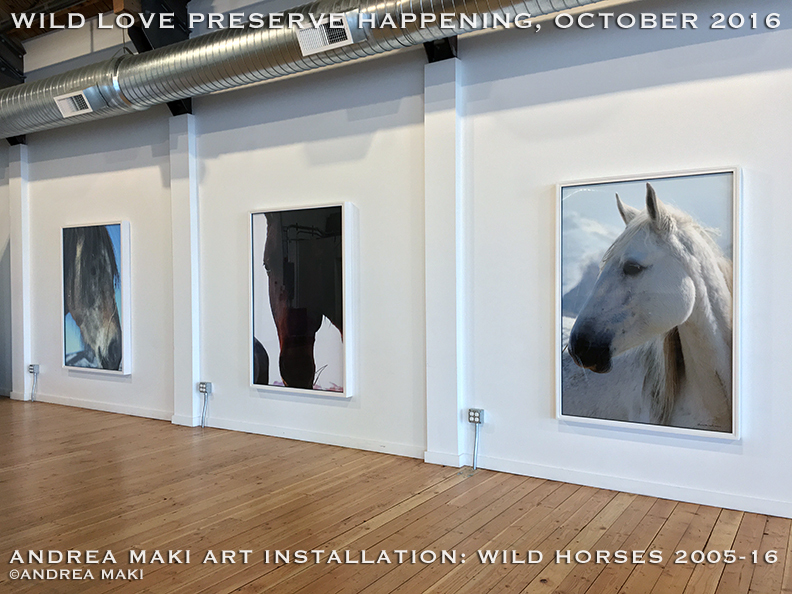 Proceeds benefit Wild Love Preserve, a humanity project founded in 2010 by Seattle native and contemporary visual artist, Andrea Maki, to protect and preserve wild horses in their native habitats and nurture the legacy of respective indigenous ecosystems as an interconnected whole by way of bridging divides and bringing stakeholders together in a new light. 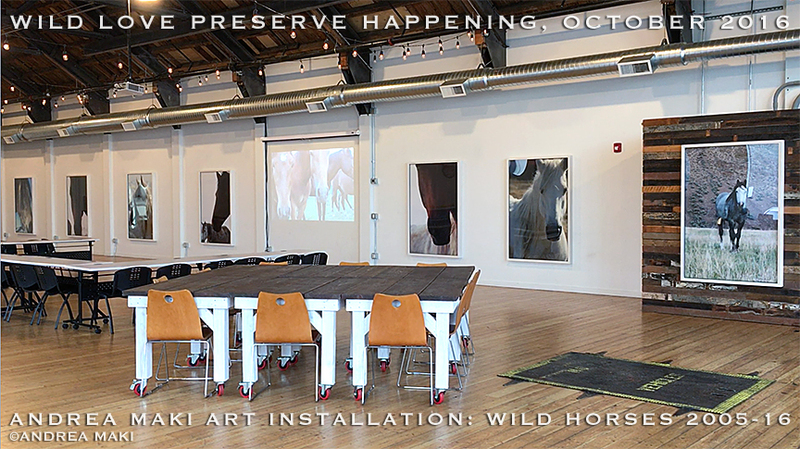 Shawn Smith performs, along with a special artist installation of Andrea Maki's wild horse film and large scale wild horse constructs, "In Wild Eyes," available for purchase to support the 130 native wild horses Wild Love Preserve has adopted out of the government system of roundups and removals to remain forever wild and together. 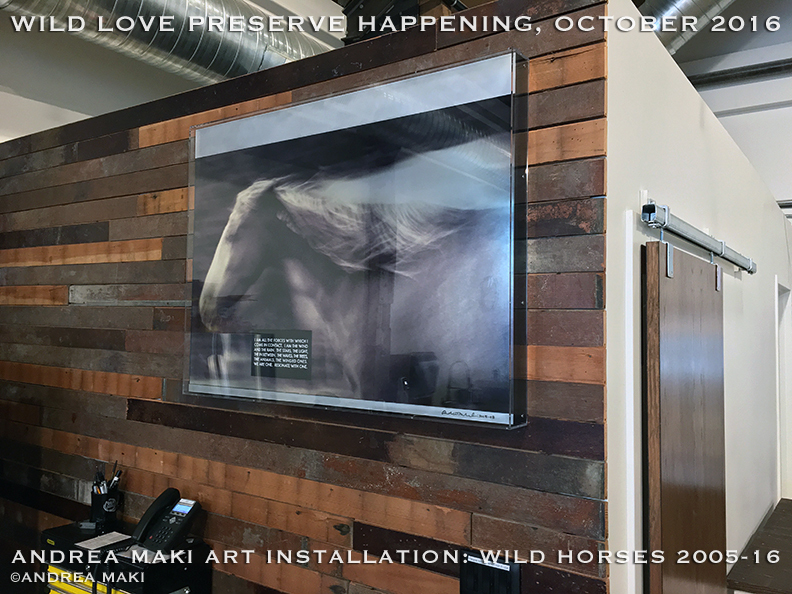 Read Fifty-Candles for landscape we face in wild horse preservation. Our wildness resonates deep within and is essential to our whole, we would be amiss without it. 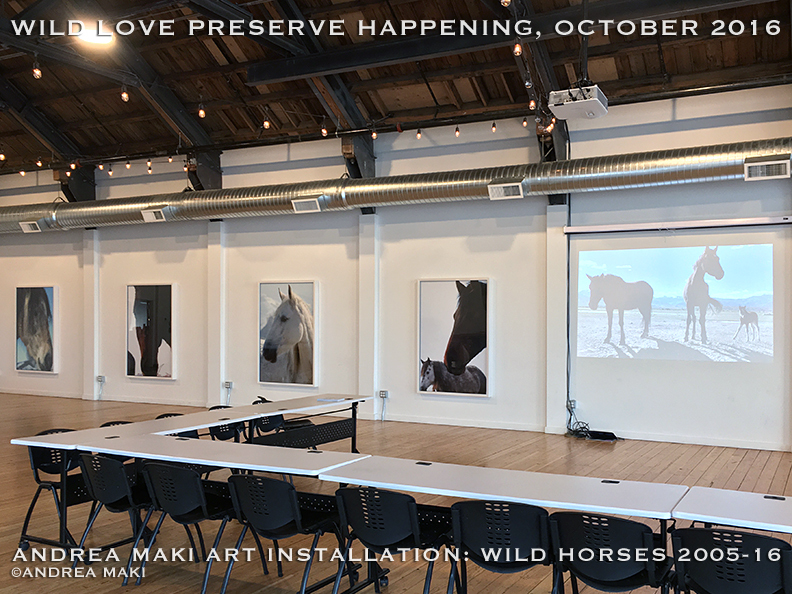 Wild Love Preserve is an American legacy project and the iconic wild mustang is pure Americana, symbolizing unbridled freedom, power, determination, and the Wild West. 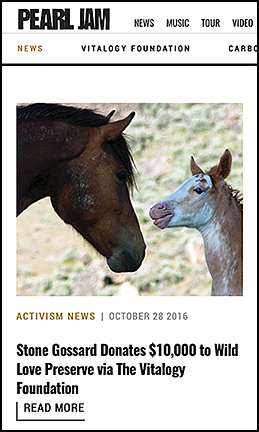 Now, native wild horses lead the way to protecting respective ecosystems as a whole. Your donations to the Wild Love Preserve Land Trust at this vital time in our project, support our efforts and deadlines to acquire ranch-lands by the end of 2016 as part of our permanently protected native wild expanse and wildlife preserve, surrounded by over two-million acres of national forest in the heart of wild horse country. Inquire for details, contact: Andrea Maki.